Neto was the best at Young Boys-Valencia CF (Photo: UEFA). Valencia FC feed their doubts after adding a new draw. Before the BSC Young Boys (1-1), those of Marcelino García Toral probably played their worst game of the season. After the break, the team sank completely and could even lose. In any case, the Young Boys-Valencia CF leaves several conclusions that analyze the strengths and weaknesses of the latter. After a draw at the home of the theoretically weakest rival, Valencia CF sees their chances of reaching the knockout stages very complicated, although Juventus lent a hand at Old Trafford. The doubts passed the bill to the equipment in the second half and in spite of advancing in the marker they came down to end conceding the tie. The tie in Switzerland reduces the options of Valencia CF to access the knockout stages of the Champions League, but most worrying are the feelings left by the team. The first and most urgent is to redirect the course. Then you can start thinking about what to do to stay alive in the highest club competition. Here we will take a look at the key points the Young Boys-Valencia CF. #5 After drawing 1-1 against Young Boys, Valencia CF is very difficult to access the round of 16. The Mestalla have not been able to beat the team that had lost 3-0 their first two games of the group stage. Having added only two points out of nine possible, Marcellin's team are forced to make a nearly perfect second round to stay alive in the competition. Fortunately, the result of the Manchester United-Juventus match benefits Valencia CF. #4 The 4-4-2 is the tactical drawing used by Marcelino García Toral par excellence with his teams. The Asturian has always been reluctant to change the scheme. He only did it once, against FC Barcelona in Copa del Rey. Against Young Boys, he has done it again. The last half hour of the match, Valencia CF played with a rhombus in midfield. Rodrigo can playmaker, with Soler and Coquelin of interiors, and Parejo defensive midfielder. #3 Valencia CF can give thanks for having Neto Murara under sticks. The Brazilian goalkeeper is, along with Gayà, the best Valencia player this season. In addition, their interventions become points. In Anoeta it was key to achieve the victory by stopping the maximum penalty to Willian José. In Bern, it was decisive again. He was successful in each of his interventions and could only beat him from the eleven meters. #2 Marcelino described Ezequiel Garay as an avoidable penalty against CD Leganés. Against Young Boys, Dani Parejo made an even worse one. The Coslada was already clumsy to give a penalty to Juventus of Turin and has repeated in Bern. He threw himself to the ground inside the area when he did not play and he made it easy for Sow to get a maximum penalty. Benjamin's action that of Dani Parejo. #1 Valencia CF is touched psychologically. Against the Young Boys, all the mental illnesses that affect the team were evident. The fear of losing and the doubts gripped the Mestalla. After Batshuayi's goal, they had everything in their favour to secure the three points, but it worsened in forced marches until they completely collapsed after conceding the 1-1. 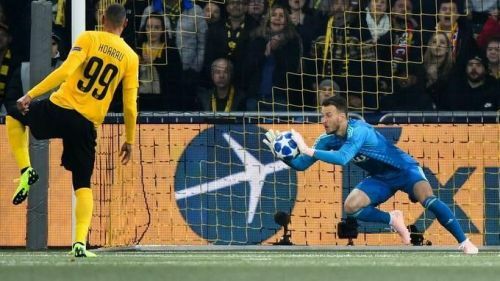 In the final minutes, only Neto prevented Young Boys from taking the victory. What if Valencia had retained their best players in the Last Decade?